Let be light, said the IQ option company, and presented recently the open trading platform Open Trading Network (OTN). It was created specifically to address problems inherent at the cryptocurrency market. Also as the unification of the networks and the crypto market, as well as primary protecting theirs all interests. At the time, it was created a huge number of new industries, with the advent of the Internet, by combining the corporate and university networks. So, in exactly the same way as the Internet, Open Trading Network will create the infrastructure of the future, which form the “relief” of the future economy. And as a result, Open Trading Network will contribute to the emergence and development of entirely new products, services and even entire industries. In other words, it can be called a step into the future that IQ option is planning to build in stages and is currently expanding products. The main aim of Open Trading Network is a complete merging into a single open network of existing isolated “blockchain networks.” There is a crypto exchange without centralisation managing, will quickly, transparently and reliably take place in the decentralized bitcoin network. In fact, IQ option opens a new page in the “crypto-history”, initially creating the technology and providing for it their own platform. In this case, all the purse is created, where each user will be able convenient and safe to store their bitcoin to pay for purchases and to convert the accumulated coins through OTN network. So what OTN has to offer us? • You can quickly and conveniently store your own cryptocurrency in one place – universal cryptocurrency wallet. • Automatic smart contract – as a means of providing security on the basis of insurance real assets. • The system meets all legal standards. • Fast and safe trade 24/7. • The availability of necessary instruments for investment in all types of crypto-currencies, stocks, indices and trade all types of derivatives and CFDs. • Quick creation of tokens within the ecosystem with their instant emission on the market. • Safe, fast, convenient communication payment systems. 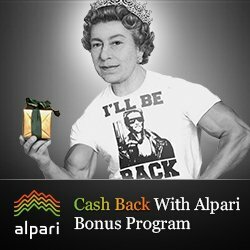 • Crowdfunding, discount systems, loyalty programs and more. • Target customer engagement and control of the audience. • The speed of execution of trader orders and their changes. • Fast processing of online transactions. • Protection of working capital. • Ability to view transactions. • Identification of system users. Open Trading Network will use the original marker, named OTN sign. This marker will be used for transactions across industries, with the purpose of insurance, as well as the remuneration of traders. In other words, in the near future traders IQ option you can earn tokens by selling cryptocurrency assets and use all of those earned tokens to pay for commissions. Starting from 9 October 2017 and within 104 weeks, the maximum number of predefined. OTN tokens will be issued each every Monday. 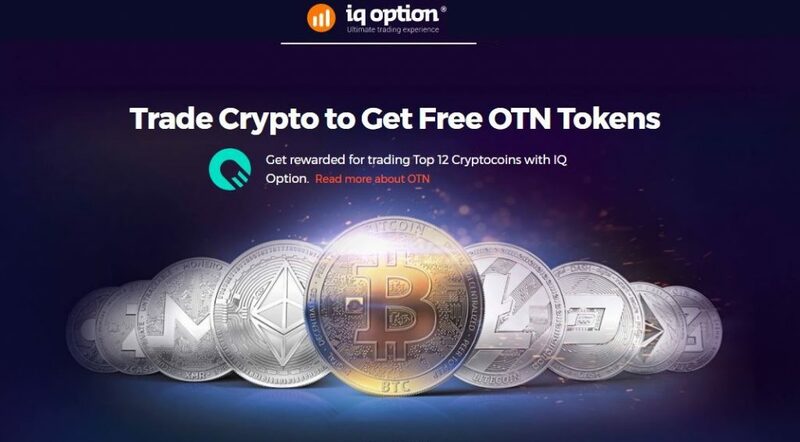 All these OTN tokens will be distributed among those IQ option traders traded with cryptocurrency tools during the previous week. The number of tokens received by the trader OTN will be purely proportional to the amount of commission paid to total cit received on the crypto tools during the week. In simple terms, it means that the more active is trader during the week, the more tokens he can earn. Therefore, the number of OTN tokens will directly depend on the volume of trade, but not on the results of the transactions. Consequently all of us should expect a rapid growth of the popularity of cryptocurrency tools, given the fact that after the OTN tokens can be exchanged for real money through cryptocurrency exchanges. In fact, OTN tokens is an interesting tool that deserves the attention of all those involved in finance, which will allow to make extra money! Open Trading Network will present innovative solutions, which will allow you to stand out from the market. After all, everyone will be able to access and use its benefit, because the system was designed taking into account the interests of all parties. Insurance coverage will provide the necessary assurance to market participants. With this open network, any asset can be effectively tokenservice, and then disseminated to market participants. Both digital and conventional assets can be marked with a marker OTN. So keep pace with the progress of getting together with the broker IQ option and Open Trading Network! ∗ *IQ Option is a brokerage company, which doesn’t provide OTN tokens to its clients. All OTN tokens are provided only by the OTN foundation. This foundation confirms that it activity is non-commercial and it does not sell OTN tokens.